Motorola has unveiled two new enterprise class Android phones today, the Motorola XPRT and Motorola Titanium, both of which are on their way to the Sprint network. While neither of them are exactly the highest end phones out on the market, both look designed to try to lure some die hard BlackBerry users over to the Android side of the market. 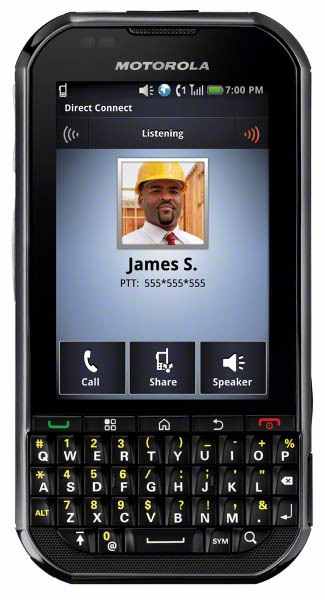 Both phones are sporting physical QWERTY keyboards that look awfully similar to some of the BlackBerry keyboards, and both units also have a definite eye towards keeping your information and communications as secure as possible. While the XPRT looks to be geared more towards those folks working in the board room, the Titanium has been built to be military-grade tough and take a beating, perfect for those folks working out in the field. To look at the pictures, you’d be hard pressed to believe it, but both are using the same 3.1-inch HVGA touchscreen. We’re not sure why it looks so much more spacious on the XPRT, but there is no denying that there’s some optical illusion making it look that way. 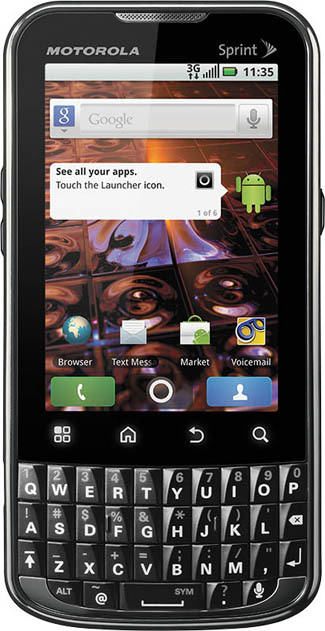 While the XPRT is coming out of the gate with Android 2.2, the Titanium is only launching with Android 2.1. While there might be some hope of an upgrade to Gingerbread for the larger phone, my thinking is its rough-and-tumble little brother is probably going to be left where it is. Both phones will feature the Motoblur interface. The XPRT will go on sale June 5th for $129.99 with a two year contract through Sprint, and there’s no word as of yet when the Titanium will go on sale, nor what its price will be. What do you think? Do you have any interest in the Motorola XPRT or Motorola Titanium?